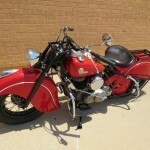 This Indian was fully restored by its owner. 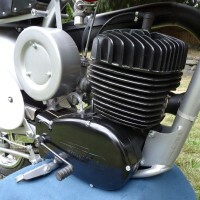 The engine was rebuilt in detail with new heavy duty rods and a balanced crank assembly. Bonneville cams, lifters, valves and valve springs were installed. 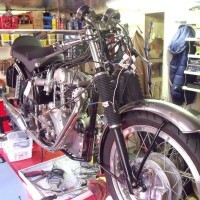 New pistons and rings were fitted. 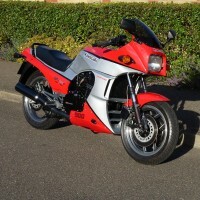 The bearings, crank pin and shafts were replaced. The transmission was rebuilt in detail with all new gears, shafts and bearings. The front suspension was rebuilt with new bushings. Grease fittings were added to the front suspension. 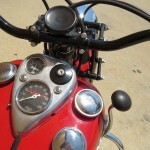 The wheels were rebuilt with new bearings, races and spokes. 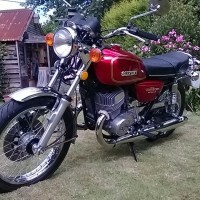 A new rear brake drum and sprocket was fitted. The brake shoes, front brake cable and brake springs were replaced. 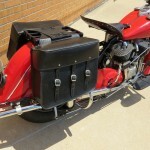 The tanks were cleaned and coated internally with alcohol resistant coating. The 6 volt generator was rebuilt to two brush configuration and the regulator was converted to solid state. 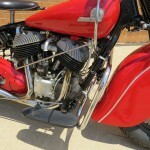 A new ignition switch and complete wire harness with supplemental ground wires was installed. 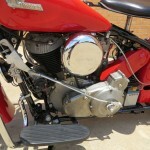 A Keihin CV carburettor conversion was installed for easy starting and operation. 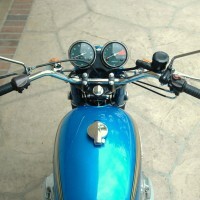 Electronic ignition was installed in the original distributor to improve starting. A complete new seat post assembly and solo seat was fitted. 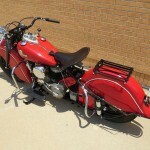 All of the painted components were sandblasted or stripped to bare metal and epoxy primed prior to painting. 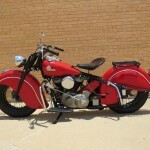 A great restored 1947 Indian Motorcycle. 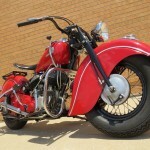 Indian – 1946 For Sale or Wanted? 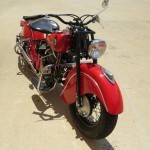 If you're looking for the perfect Indian – 1946 for sale then take a look at the hundreds of restored classic motorcycles listed on our extensive Motorcycles For Sale pages. 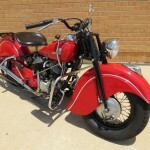 We regularly feature very nice restored Indian – 1946 bikes for sale. 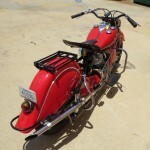 Spares and Parts for your Indian – 1946? 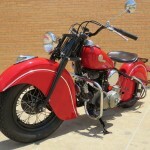 Workshop Manual for your Indian – 1946?